KU organized a ceremony on 08/01/2019 to acknowledge and honor all participants of the “Best Portfolio competition ” which was organized by the Interior design Department, all Interior Design students from different universities in Kingdom of Bahrain have been invited. Therefore, Prof. Mohamed Terro, KU president, Dr. Sherif Alwageeh, Dean of Architecture Engineering & Design College, and Dr. Ashraf Soliman, Chairman of Interior Design Department honor the three winners where two of them were from Gulf University and the third one was from Kingdom University. Also, they gave certifications to all participants of the competition. 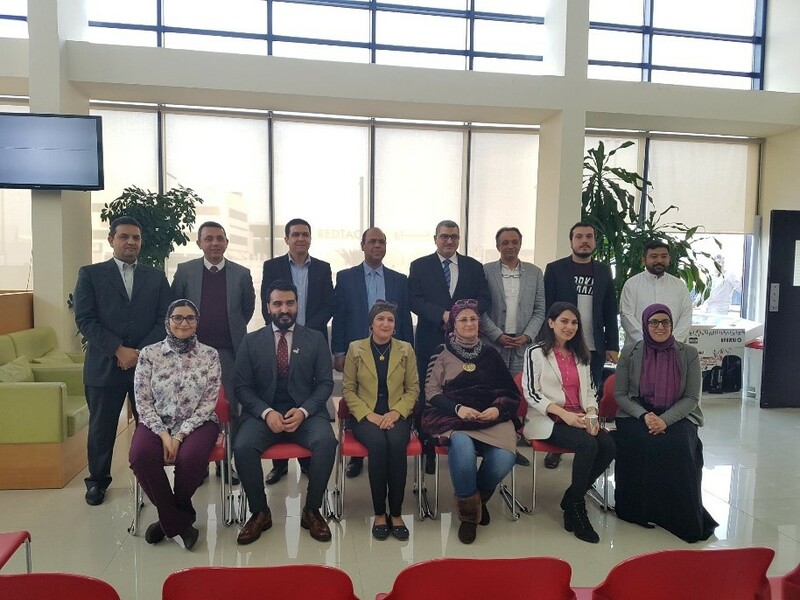 This event was held with the presence of the jury panel, composed of academic staff and industrial experts experienced in Interior Design in the Bahraini Market, also with the presence of academic staff from different universities in Bahrain. The aim of the competition was to motivate students to prepare their designed “Portfolio” in a professional way, the purpose of this activity is to prepare the students to be ready after graduation for the market of Interior Design and increase their opportunity of employment.